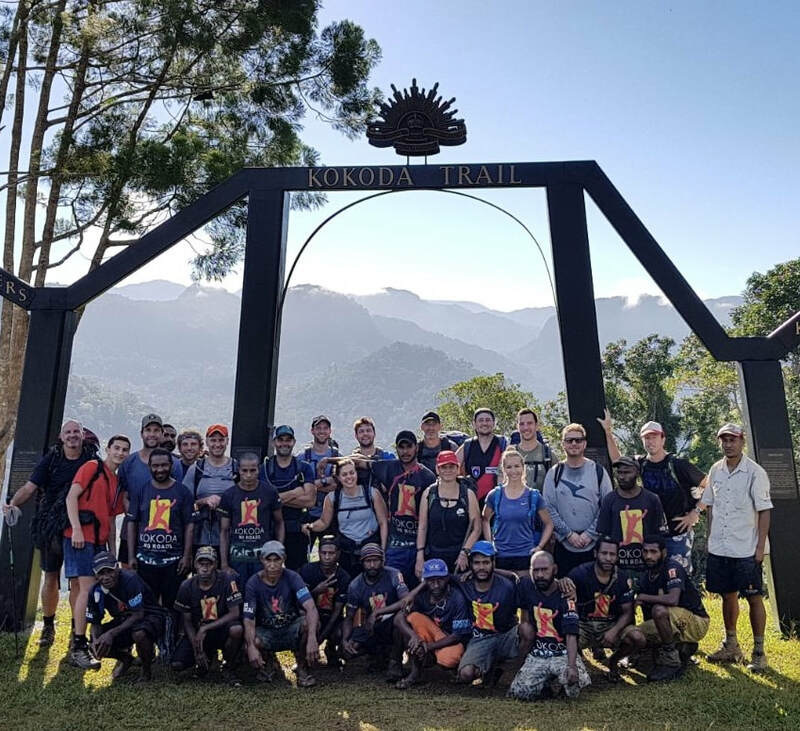 ​Tuesday the 24th of April saw 16 very keen trekkers depart their respective states and arrive in PNG, physically & mentally ready for the massive task of completing the Kokoda Trail (96k). Some had never met each other before so this was a first for ProSport. Nerves, anticipation & excitement were at an all--‐time high! 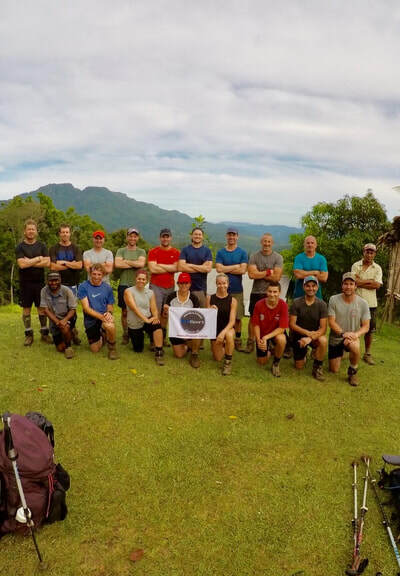 Kokoda is a single--‐file foot thoroughfare that runs one way 96 kilometers overland through the Owen Stanley Range in Papua New Guinea. The track is the most famous in Papua New Guinea and is known for being the location of the World War II battle between Japanese and Australian forces in 1942. The track typically starts at the Kokoda station (after a quick 20 min flight straight into Kokoda) & ends at Owers Corner in Central Province, 50 kilometers east of Port Moresby. It reaches a height of 2,190m as it passes around the peak of Mount Bellamy. We were set to start walking on Wednesday 25th , arriving into Owers 6 days later on Tuesday the 1st of May. Hot, humid & mostly wet days with cold nights, torrential rainfall and the risk of endemic tropical diseases such as malaria make it a challenge to successfully walk it. 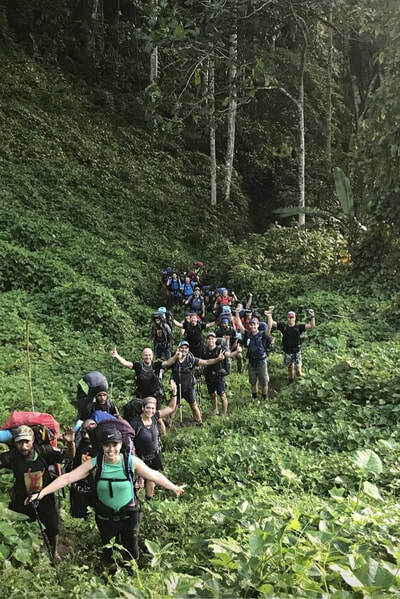 Having done Kokoda a few times I secretly love watching all the trekkers come together the night before and nervously ask last minute questions & start to over analyse the lead up to the trip. Statements like ‘have I trained enough’ ‘have you packed too heavy’ ‘what happens if this happens’ etc.. It’s brillant & it’s something I would never want to change. Kokoda is the great unknown, all the reading & googling never quiet prepares you for what’s ahead of you. All you can do is trust you are ready & get ready to dig deep & enjoy this amazing week ahead of you. For me I was excited to have Phoebe apart of the team, Phoebe is a huge part of ProSport & the fact she was coming for some experience had me really excited. The crew was assembled from all around the country. Brad from WA, David from Sydney, Doreen from NT, Marcus from Brisbane & the rest from Melbourne. Most had connections throughout the group but once we were all together I got to witness a great group of clients all ready to connect, support & enjoy this experience together. 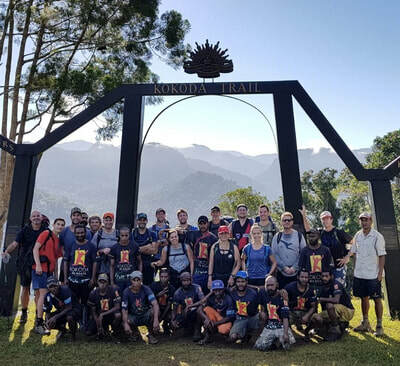 During the first night at the Holiday Inn it suddenly dawned on the group that their journey was about to begin, with a bus ride to the airport before a flight to Kokoda. It was D--‐day for all of us. 12 months of talking, training & preparing – it was about to begin & everyone suddenly felt really excited but really nervous at the same time. First of all we had a 4am wake up to get ready for, we were really lucky & honoured to be able to attend the Bomana War Cemetery Dawn Service. This service provides us with a few individual grave sites are highlighted, the bugler weaves his magic with the Last Post, the choppers roar low and fast overhead and the traditional instrument of the isalnds, the bagpipes are played – this being my 4th the morning peaks again to being a huge hightlight for me & the group. What a way to get fired up to hit the Kokoda track later this afternoon. We left Bomama & headed back to the hotel for breakfast. 9am came around quickly & we were ready to head to the airport and make our way to Kokoda. 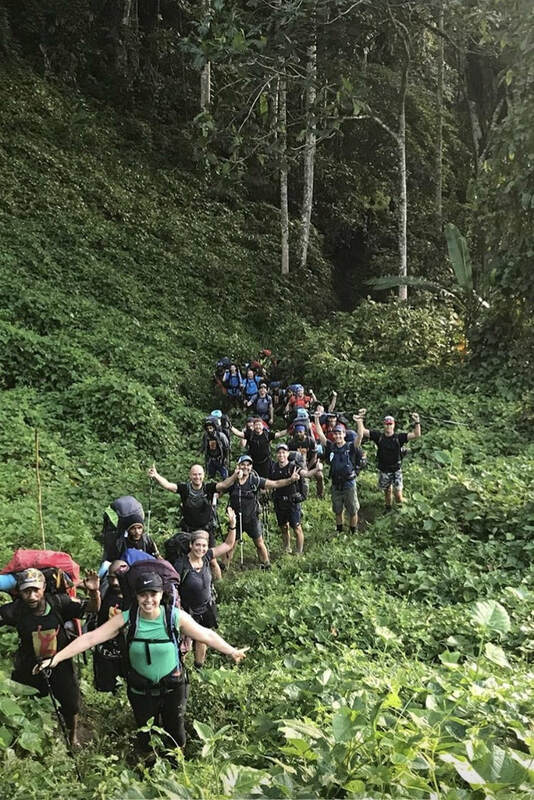 We had a smooth flight into the Kokoda station where we met the 24 porters that were going to help us have a successful trek and our local trek leaders Clement & Gai. A quick history lesson & we officially hit the track at 1.30pm. Deniki – here we come! I am extremely proud of ALL of you! Overcoming feelings of hopelessness, weakness, vulnerability --‐ the feeling of wanting to give up, thinking I can’t get to the top of the hill, but I can proudly sit here today & say we ALL overcame those feelings & thoughts and made it. It makes our achievement as individuals & as a group something very, very special. Here is a day--‐to--‐day recap of the trek. Almost the perfect day. 4am wake up, Dawn Serviced followed by breakfast & then a charted flight straight into Kokoda. We left Kokoda station around 1.30pm, we arrived at Deniki at 4.30pm. First full day ahead of us, we left camp at 6.30am & headed to Isurava Battlefield. Isurava is where the 4 pillars are located --‐ Mateship |Endurance | Courage | Sacrifice. We did some history & took in the amazing views back through the valley. We kept pushing to Alola for lunch & then headed down to Eora Creek for the night. Eora has a great swimming creek so this was a great reward for the guys on day 2. Today was always going to test the guys mentally & physically. We have a huge day ahead of us and I woke up praying the weather gods were on our side. We headed off at 6.30am, this day starts with an up & it keeps going. 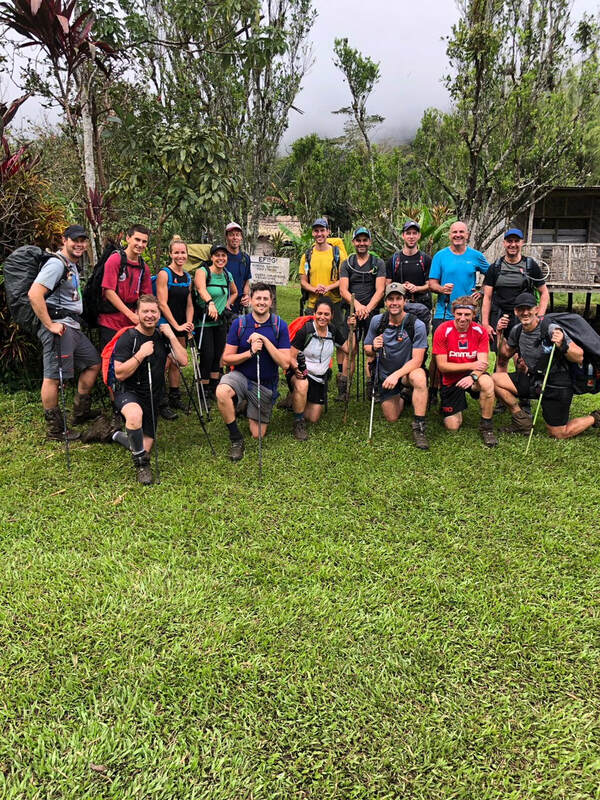 We climb up over Templetons 1 and then Templetons 2 before hitting the highest peak of the Kokoda Trial – Mt Bellemy (2190m) We stopped at 1900m for lunch before embarking on a challenging afternoon of walking down hill for 4 hours into Kagi. We all made it safely which made me very very happy. No rain & plenty of smiles. Today was a great test & the guys all passed with flying colours. The only downer was no pizzas as promised by me (I think the porters stitched me up) & no water for showers. This group were all stars so everyone moved on pretty quickly (that’s a lie, all trekkers gave it to me for the next week) We were lucky to have the kids from the village come up & sing to us. At the end of a hard day, watching the kids sing & laugh made all the sore spots disappear. Today is my favourite day. A steep down hill to start with & then a steep climb back up to Efogi 2 for a quick drinks break. Then we head through Efogi 1 which is the half way mark of the track. We then walk around the ridge of the mountain to Brigade Hill for a intimate service which includes planting a poppie and listening to the last post. Lest we Forget! We have lunch and set off for Menari which is a 2 hour down hill walk. Some opt for the creek 40 mins from camp & the others push through for showers & pop corn. ​Today was a great day! The weather gods had been on our side the whole time & when we hit Browns River, we were able to cross it quiet quickly (boots on & no one got wet – amazing) we decided to push through the swamps to Nauro 1 for lunch and then head out to Ofi Creek at 1pm for a 4.30pm arrively at Ofi Creek for a swim and another great day. With no rain the swamps were ok & our afternoon trek was a huge success. Ofi Creek was a huge highlight for the guys, they were tried and with a peaceful creek for a swim, everyone was mentally & physically in a great place. This is it, a later start to the morning we packed up & headed off around 7.30am. At the bottom of the hill the group decided to put Chris up the front. Chris, Ben & Marcus have been raising funds for the Solider On foundation – last I heard they had over $16k raised which is amazing. A few side bets had been arranged back home that if Chris walked over the line first another few thousand would be donated. It was a no brainer getting the bug guy up the front to bring us home. Well done guys on raising funds for a great charity. Scott ‘TEAM MAN’ McCrae: You brought humour & determination to the group which was great mate. I saw a look in your eyes on day 3 that you were hurting (a few spews & some sleepness nights will do that to you) you never complained or gave up which is a terrific trait mate. Well done on being a legend! Thanks for being a part of it. Best wishes in Chicago in October. Nicholas ‘MR CONSISTENT’ Skapoulas: Tough / hard / committed & very consistent. Never complained & always had a smile on his face (& always laughing). Was great having you a part of the group again mate. Highlight – the orange crocs were elite. Thanks for everything. Anthony ‘FLETCH’ Fletcher: Mate, you should be very proud of yourself – your willingness to keep leading the team forward everyday was just awesome. Even though you pretty much walked the first part of the trek on one leg, the way you kept motivating everyone day in day out is a very special skill. Thanks for all your support out on the track. Highlight was enjoying dinner with you everynight in your Qantas PJ’s --‐ GOLD. Doreen ‘KOKODA MUM’ :Doreen, you were very easy to lead. You were tough, strong & consistent. Clement was right on day 3. He said she is getting stronger & will finish really well. What a special trek, congratulations. No doubt your 3 girls would be very proud of you. 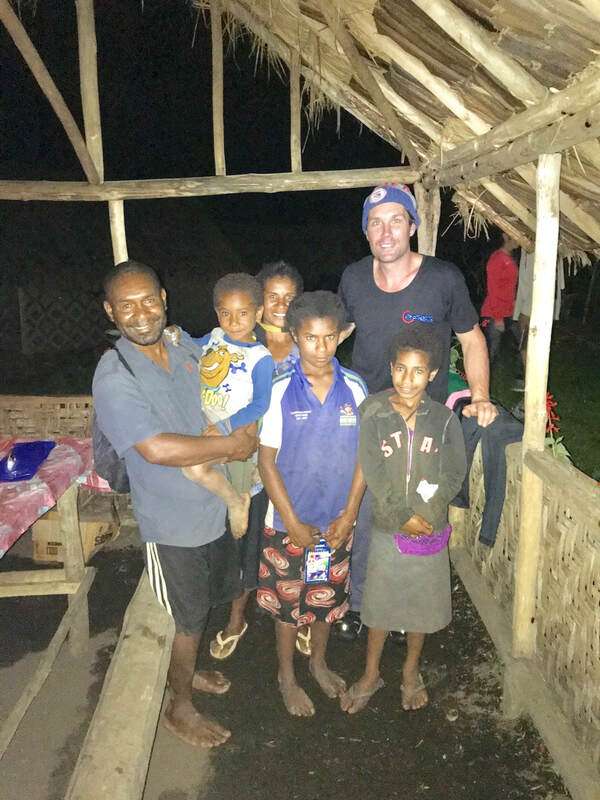 Highlight – taking the Kokoda Mum role on and looking after us. We were very lucky to have you. Thank you. Brad ‘NEVER SAY DIE ATTITUDE’ Fraser: I think that sums you up perfectly. No step or hill was big enough to stop you Brad. The way you pushed yourself up some of those that hills was great to see. Always up & about and willing to chat and get involved. Thanks for everything. 2 Highlights for you – wearing rock star shorts every day was brilliant & the debate over the Pier VS Jetty was solid. 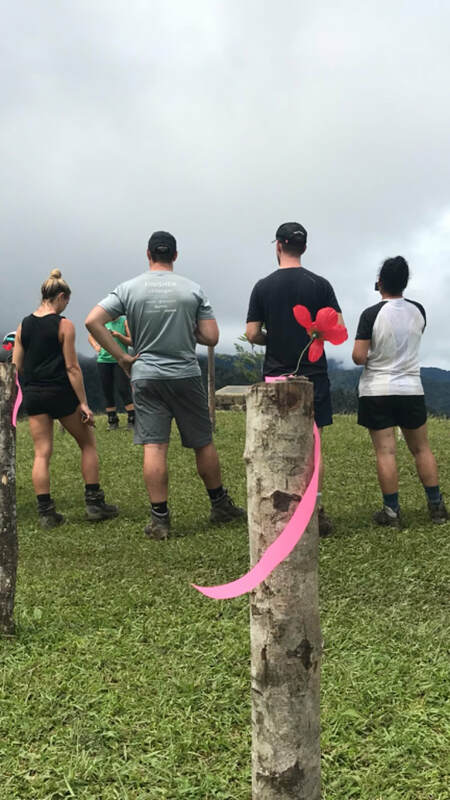 Tiana ‘MISS DETERMINATION’ Parrish: Everyone showed glimpses of determination but your whole trek was determination, you gritted your teeth everyday & did an amazing job walking the Kokoda trek. It was great seeing you get stronger as the trip went on. Well done for making it through – I was really proud of you & I bet your family will be too. Highlight – celebrating your birthday in with 14 smelly men in a muddy camp site. Doesn’t get much better than that. Marcus ‘UNFLAPPABLE’ Gray Marcus, you were a star mate. You were very easy to lead (or lead us along the way) You were tough, strong & consistent, never complaining, always a great attitude and a big heart. You rocked the trek and absolutely smashed it out of the park. Congratualtions on a stellar trip and good luck for little one #2! Sean ‘RAMBO’ Beer The Weapon, from packing your house and carrying it with you on the trip to providing countless stories of your travels, training and experiences – it was amazing to have you a part of this trip and do Kokoda HARD. Not once complaining, always slightly behind leaving camp due to packing up your house. You’re a legend and I loved having you a part of the team. Rock on, Rambo. Ben ‘MR SOLID’ Milner Solid, just rock solid. Heavy pack, out in front, no complaining, you smashed it. Loved having your unstoppable attitude along for the trip. Well done. Highlight – Honing your wiggle moves over the course of the trip. All the best for your next adventure home! Tommy ‘YOUNG GUN’ Mcrae Tommy, you proved just how tough you are. It was unbelievable to have you a part of this trip and watch you over the 7 days, stepping out up front with the ‘A--‐Team’. We’re all so proud of your amazing effort and loved watching you finish Kokoda. I cannot wait to see what’s next for you! Chris ‘NO PANTS’ Allchin What can I say. You did it. Despite countless taunting, you did it. Providing countless laughs on multiple occasions, some great and not so great tunes, questionable dinner attire and an odd looking rash, thanks for bringing and creating such an unforgettable spirit to the trip and being a part of the crew. James ‘CAPTAIN SMOOTH’Kantianis: We promised you we would get you home safely. You made my job pretty easy mate by being a great bloke, you never ever complained, you were always up & about chatting, laughing & getting to know everyone. (you did pick on me a bit too much which wasn’t funny ha). It was great seeing you finish the trek in great spirits alongside your trekking buddies Nick & T. Highlight – watching your face every time you copped a fine – priceless. Best wishes for the birth of your son mate, please send through some pictures. Mark ‘MR 4 PILLARS’ Andrews: You were the complete all--‐rounder Marky Mark. Always up for a chat, never complained, always had great energy & gave everyone the same amount of time. Well done mate for bouncing back after day 1 & smashing Kokoda & doing it in style. Highlight – carrying that backpack. That was one massive effort. Best wishes for your running career, we will all be watching & supporting you. Stawell 2019 – look out! David ‘STRONG & TOUGH’ Hunt Also known know as toothpick thanks to Brad. Brilliant! Dave, you were a star mate. You were very easy to lead. You were tough, strong & consistent. You did it hard but never gave up. Always up for a chat & a laugh. Highlight was your stick. Never have I seen that before. So good. Please don’t ever forget the 4 pillars & what they represent. Mateship |Endurance | Courage | Sacrifice No one can ever take away the experiences we ALL shared over the last week together. 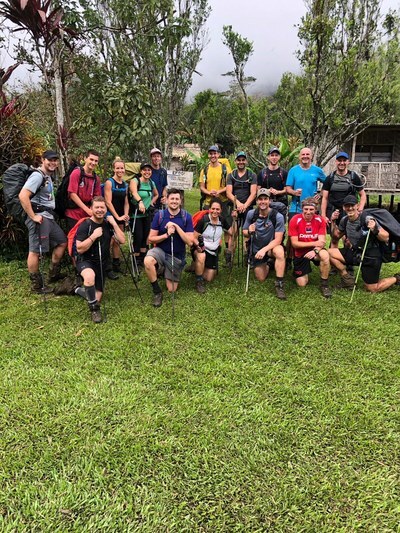 So, to wrap this up, I am very proud to have lead you guys through the Kokoda Track – from the moment we landed in PNG, everything went to plan which was amazing! It honestly was such an amazing experience, Phoebe, ProSport & I cannot thank you all enough. One last time...Where’s the road? – NO ROAD!